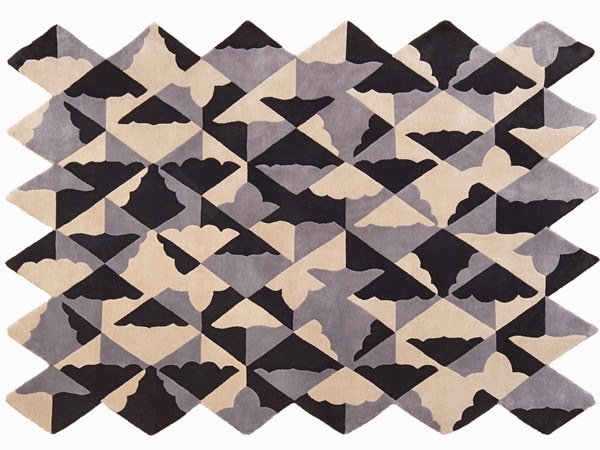 Carpet and rug brand FLOOR_STORY has launched its first designer rug collection, made in collaboration with London-based illustrator Rob Pybus and textile designer Kangan Arora. 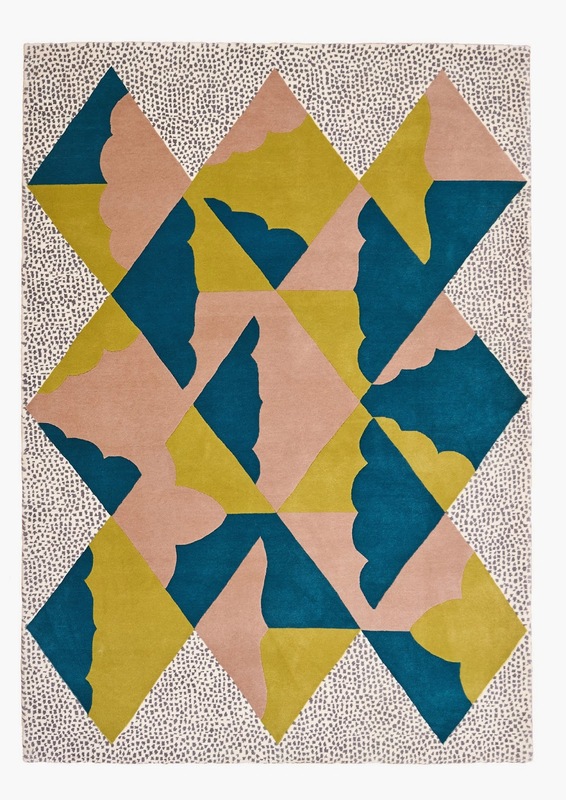 Kangan Arora celebrates her Indian roots with bold graphic rug designs inspired by the circus and kite festivals seen on her travels. 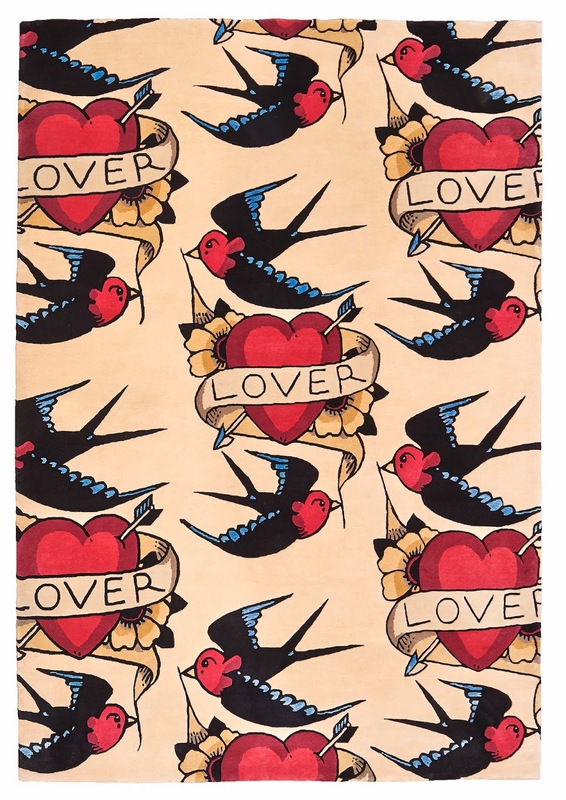 Rob Pybus has drawn inspiration from rockabilly tattoos, transferring iconic designs on to a new medium in an oversized scale. 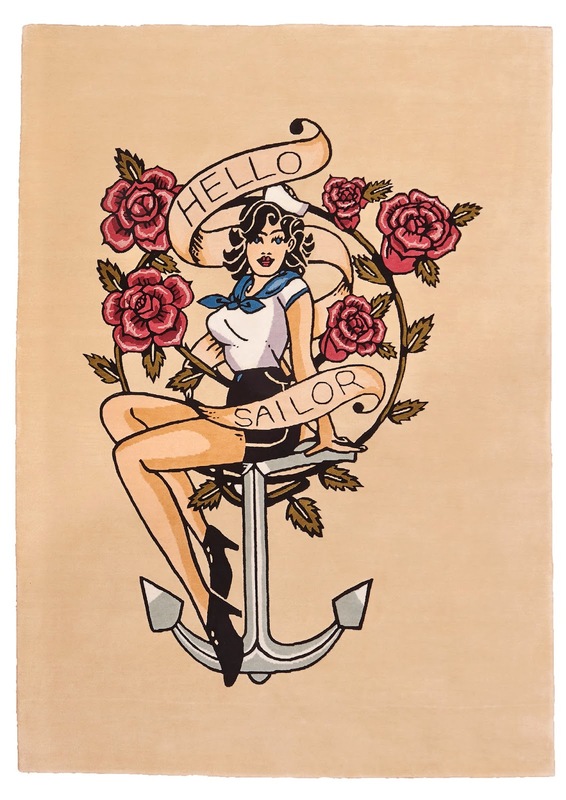 Made by skilled craftspeople in India using traditional Tibetan weave techniques, each rug can take up to three months to finish - such is the quality of the hand-knotting. Each design is limited to 20 pieces. Prices start at £1,500 for a 160cm x 230cm bespoke sized work.